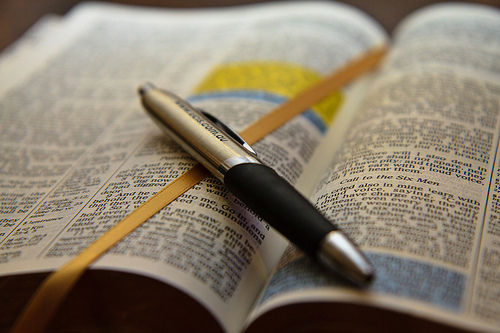 Each Monday night at 7 pm, Pastor Steve leads a Bible study on passages that will be preached on Sunday. This is an important part of his sermon writing process, and it helps the most when you come to bring your questions and points of view. If you’d like to learn more about Scripture, or just help the pastor out a little, come to Bible study on Monday night at 7 pm. Copyright 2017, Parkville Presbyterian Church | Designed and powered by MJFPro.